​We are a family-owned and operated company specializing in building custom homes and remodeling. Because we are not a volume builder, we can provide our customers with unmatched personal attention. We consider the customer to be the most important member of our building team and communication our most vital tool. By encouraging our customer’s involvement through the building process, we achieve open and honest communication. Construction is a constantly evolving science that requires builders to stay up to date with new buildings codes, products and technologies. 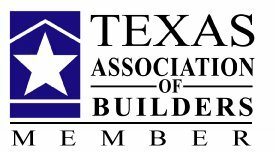 We do so as active members of the national, state and local building associations and through the participation of numerous educational courses offered through these affiliates. We are among a select group of builders nationwide who have earned the designation of Certified Graduate builder and Green Professional identifying us as one of the building industries premier builders. This exclusive designation, administered by the National Association of Home Builders, requires that graduates meet prescribed standards of practice and have a proven track record of successful project management, complete comprehensive education curriculum and pledge to uphold the programs code of ethics. Our mission is to provide superior customer service and quality craftsmanship at the best value. We build each of our homes to the same high standard of quality regardless of the size or cost of your home. No project is too big or small; we strive to accommodate every budget. One cannot accurately gauge the value of a home without considering its operation costs. We use energy efficient materials and proven building practices, which translates into lower utility bills and maintenance expenses. Therefore the energy efficiency of your home is not a consideration, it’s a priority. Being a true custom builder means building a home that is as unique as your famliy. Many builders call themselves custom, but you are only permitted to make slight alterations to a limited number of floor plans. We allow complete modification to any plan and most are designed from scratch to be exactly what you need. This is the reason for building a custom home. However, no matter how well you plan during the design phase, there may be things that you want to change or modify during construction. True custom builders are flexible throughout the entire building process. Surprises are great, but not when they cost you tons of money. We provide you with a detailed fixed bid for your home. You set the allowances based on the amenities you want in your home. You will pre-select your design selections to ensure that the budgets are right for what you want in your home. ​Want to stay connected with your project? From anywhere? You can view your personalized construction calendar online, view documents and track other important items. Take a peak. What happens after you build your home is just as important as what happens before and during. You don't have to hassle with a third party warranty. We handle your home warranty in-house. Any issues will be handled by the same quality contractors that performed the original work. Building a new home may involve a few moves. Buying a Lot. Selling your Current Home. Finding a Rental while you build. Our team is able to help you with it all to help make things smoother.